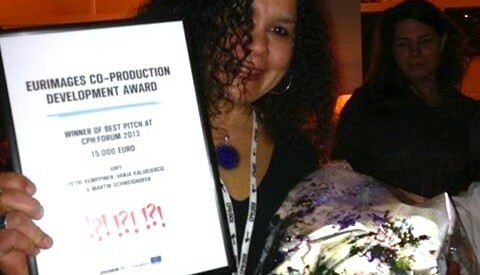 It is our pleasure to announce that AQUARELA by Victor Kossakosky won the Eurimage Co-Production Development Award for best pitch at the CPH:FORUM. Producer, Aimara Reques, Director, Victor Kossakovsky, and representatives from our co-production partners, Majade and Scottish Documentary Institute, attended the pitch on Wednesday 13th November. CPH:FORUM is attended by financiers, investors and distributors from all over the world. We were incredibly honoured to even take part in this prestigious event, let alone win, and would like to thank everyone for their support. Special thanks to our great team for their contribution and also to Creative Scotland for their continuing support.